Stuttgart - The engine of Ferrari was again awarded as the best machine by winning the International Engine of the Year Award. The best engine is the 3.9 liter V8 engine that complements some Ferrari cars. In the press release mentioned, Ferrari engine has been nominated as the best machine in the world for the third year. Ferrari engine was also never get a similar award a few years earlier. This year, Ferrari earned no fewer than six awards. That number makes Ferrari the owner of the most awards in one year, bringing the total Ferrari trophy to 27, a record victory for the sports car company. When the Engine of the Year award, the 3.9 liter V8 engine powered 720 horsepower which is also a source of power Ferrari 488 Pista it dominates the class of 3-4 liter engine. In addition, the machine also dominates in the Performance Engine category and a special nomination for Best of the Best with as many as 68 international jurors are required to select the best machine of all winners over the last 20 years. 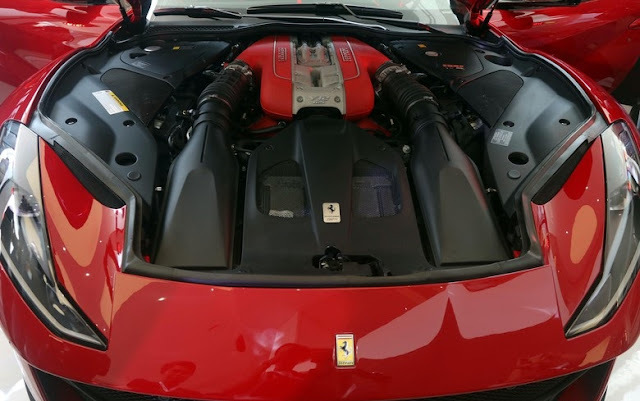 "In 488 GTB, the 3.9-liter eight-cylinder engine is an almost perfect example of a high-performance turbo engine," says co-chairman of the IEOTY Awards, Dean Slavnich. "But the engine that was re-developed for the 488 Pista has just become the best machine.No doubt, we're looking at engineering masterclass from Ferrari.There's no turbo lag, pretty power delivery, and so much power - this Ferrari V8 is a work of art, "he continued. In addition, the naturally-asspirated (without turbo) V12 engine with a capacity of 6.5 liters of Ferrari on the Ferrari 812 Superfast also won two awards. The machine was awarded in the 4-liter engine class and above, and Best New Engine category. 0 Response to "Ferrari V8 Engine So Best Engine 2018"